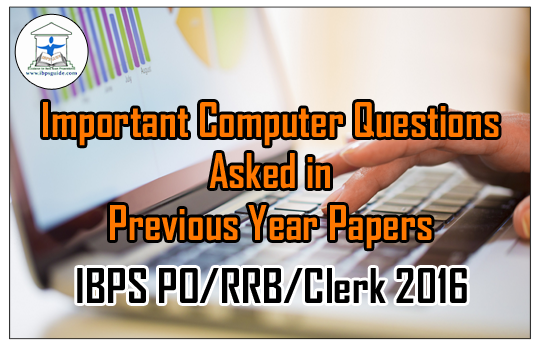 Dear Readers, the List of important computer Quiz from previous year papers were given here for upcoming IBPS PO/Clerk/RRB exams 2016 was given here. Candidates those who are preparing for the exams can use this. 1).What menu is selected to print? 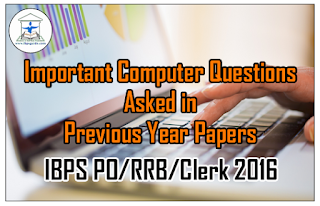 5).What are the two types of output devices?